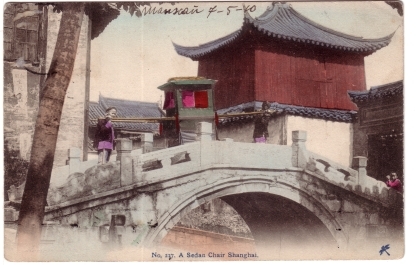 Action: A sedan chair is carried over an arched stone bridge, in the gardens of the old city. The bearers pose for the photo. A child looks on the right.